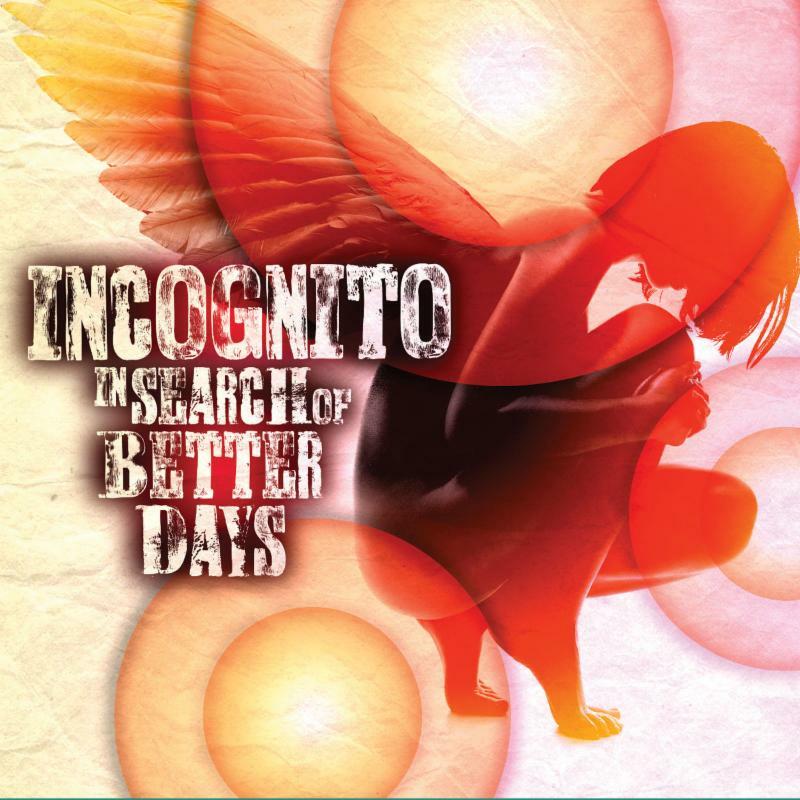 Bluey and Incognito Deliver Flawless and Varied "Better Days" CD - TheUrbanMusicScene.com | Music Reviews! Jean-Paul “Bluey” Maunick is easily among the most prolific men in modern music, particularly within his specialty niche of acid jazz/club/quiet storm. Between his solo CDs, outside productions and, of course, his work as leader of the collective Incognito, he is also a generous giver with projects usually no less than 14 solid tracks apiece. Bluey’s latest manifesto under the Incognito umbrella, the self-explanatory In Search of Better Days, continues the group’s keen balance of spirited uplift, musical variety and old school vibrations of real rhythm and horns instrumentation, dynamic arrangements and unbridled soulful vocal flights. Singer Tony Momrelle kicks the soaring signature Rhodes-drenched Incognito vibe on the warm and wonderful “Love’s Revival” with its Stevie Wonder-esque poeticism which slides into Maysa’s third offering, the slickly syncopated “Selfishly,” an ode to “no strings attached” which gives the bass some time to bounce and massages your ear with smooth chord changes (by the way…that’s Bluey playing bass, Rhodes, grand piano and synths on this one…all purpose brother). The cerebral soul food of “Love Be The Messenger” truly gives the horns some for another Vanessa Haynes feature. Bluey breaks things down to Zen mode on his vocal feature “I See The Light” (about a cross cultural connection of rebirth) which also features Avery Sunshine on piano and Sid Gauld on Flugelhorn. “Echoes of Utopia” is an instrumental feature for flautist Andy Ross as “Bridges of Fire” is for guest guitarist Tomoyasu Hotel. Meanwhile the mystic voyage of “Crystal Walls” showcases the lead and harmonized vocals of Katie Leone and “Better Days” (featuring deliciously tangy singer Vula Malinga) closes things out in jazzy house club mode. Suffice it to say, there is not one weak selection on this fluently variable CD (and I even left a few for you to discover on your own) which is REALLY saying something for a 14-track project. Chalk it up to the prolific expertise of Bluey and his hand-picked cache of collaborators. Press play and melt into the excursion that’s as good to your ears as it is your mind and, of course, your feet.